Despite the difficulties thrown up by Transport for London, the meeting at the Gallery on 21st November proved entertaining and informative for all. The final result of the voting showed that Pevsner’s Buildings of England was resoundingly the most influential publication for our members. Members talked about their nominations: Ian Bristow on Pevsner, Jenny Freeman on Brunskill, Hugh Feilden championed Heyman’s Stone Skeleton, Alasdair Glass spoke on Sir Donald Insall’s Care of Old Buildings, and Robyn Pender on Practical Building Conservation. Richard Woolf made a plea for revisiting Banister Fletcher and Sherry Bates supported the construction books of Rivington and McKay. Charles Wagner pointed out the importance of the Burra Charter and EH Conservation Principles in setting frameworks for assessing the values of conservation, and Helen Axworthy paid tribute to Ian Bristow’s volumes on architectural colours and their analysis. Malcolm Dickson recommended the Historic Scotland publications and the works of the Survey of London, and Karen Butti told of her introduction to conservation through John Ashurst’s Mortars, Plasters and Renders. Sir Donald Insall summed up with the authors that had influenced him. The top 20 of your nominations have been listed and voting forms circulated by email. If you have had difficulty voting online, there are further instructions here and voting form here. Please vote by close of day, Sunday 19th November, and join us on Tuesday 21st November at the The Gallery to debate the top five. We will be publishing a list with all the nominations, including those that arrived later, and publishing a report of the debate in Transactions. ASCHB has recognised that over the past 50 years there have been certain books which have influenced the practice and philosophy of the conservation of buildings and places. The influence may have been for good or ill, but they have left their mark. ASCHB invites you to nominate the five books you think are the most influential, with your reasons, in not more than 50 words. We will draw up a list of the fifty most nominated books, publish it on our website, and ask for your votes for the best. We will debate the merits of the top five at our meeting on 21st November. The publications of the Architectural Press in the late 1970s, e.g. Three Centuries of British Craftsmanship, were also nominated as a group. This book was presented as a tome that would interest families, but it is far more than that. 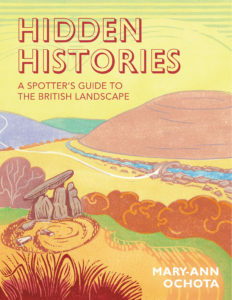 Admittedly in areas where one has expertise it can seem a bit patronising, but the sheer breadth of subjects covered makes this an invaluable book to take on trips around the British Isles and to have at home, both as a reference book and a book you can just dip into when you have a few moments of peace. It starts off looking a ‘lumps and bumps’ which covers all forms of prehistoric earthworks from forts to burials, to hedges and ridge and furrow. It looks at ‘stones’ from standing stones to stone carvings to finding flint tools. It continues with ‘lines’ covering road and field boundary alignments to ancient woodland and trees. Its longest section is ‘in the village’ where it covers placenames, buildings and materials and all sorts of other structures and features. Dip into a section and you may think you know about a particular area of, say, the history of roads but there are always facts you did not know about lurking in the text. This is a highly readable book containing so much information for both families on outings and the professional involved in the building, development and transport world. I would highly recommend it as reference book for every home and office. It is an excellent accompaniment to earlier publications by Common Ground, founded in 1983 by Sue Clifford, Angela King and Roger Deakin to seek imaginative ways to engage people with their local environment. It champions the idea of local distinctiveness, and without saying as much, this book does the same in an engaging and intelligent way. A must have.